The new adult novel from the beloved and bestselling Judy Blume, based on true events. 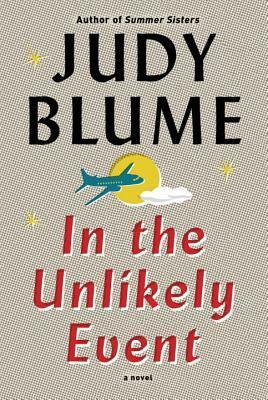 When a series of passenger airplanes crashed in Elizabeth, NJ within a three-month period in 1951-1952, Judy Blume was a teenager. "These events have lingered in my mind ever since," says Blume. "It was a crazy time. We were witnessing things that were incomprehensible to us as teenagers. Was it sabotage? An alien invasion? No one knew, and people were understandably terrified." Against this background, Blume uses her imagination to bring us the lives of three generations of families, friends, and strangers who will be profoundly affected by these events, either directly or indirectly. But life goes on and Blume digs deep into her characters--we see them coping not only with grief but with first love, estranged parents, difficult friendships, familial obligations, divorce, career ambitions, a grandparent's love, a widower's hope, and everything in between... Most importantly, it is filled with the same warmth and authenticity that have won her the hearts and minds of readers of all generations. I was a fan of Judy Blume as a child. When I found out she was publishing a new adult novel, I couldn't wait to read it. I stayed away from reviews and even avoided reading the synopsis until I had the physical book in hand. I was shocked to learn that the three plane crashes that occur in the story were based on real life events. Learning this only added to my excitement to read it because it's obviously an event that affected Judy Blume who grew up in Elizabeth, New Jersey. Looking at the size of the book, I didn't think I would get through it so quickly. I was so engrossed in the story that I breezed through the 400+ pages like it was nothing. It took a bit for me to get the hang of the writing style as the book alternates between the POV of a variety of characters. However, once I got used to it, I found the character's connections to each other quite intriguing. Even though Judy Blume writes about fictional characters, I don't think she's too far off from how people reacted during these difficult times. Each character was believable and relatable. Through the pages of In the Unlikely Event, we see how each of these crashes directly and indirectly affected the fictional residents of Elizabeth. Their heartbreak and outpouring of compassion for each other made for a rollercoaster of emotions. The book has readers experience how one character's decisions can cause a ripple effect and impact another, unrelated, character's fate. Judy Blume did not disappoint with her latest book and it is one that I will cherish for many years to come. Disclaimer: I received a finished copy of In the Unlikely Event from Random House of Canada for review purposes. All opinions are my own.